The Dual motor LiftBoard produces up to 1800W of power, capable of quick acceleration and tackling hilly terrain. The dual motor configuration provides twice the power and twice the stopping power. Go the distance with the Dual Motor Liftboard. Easily travels up to 16 miles on one single charge. The 1800 Watt motor can push the LiftBoard to speeds of up to 18.6 mph. LiftBoard trucks are cast from quality steel and powder coated to a satin black finish. The trucks are adjustable and each LiftBoard includes a multi tool so you can customize the truck characteristics to your personal liking. The LiftBoard is made from high quality seven ply maple. 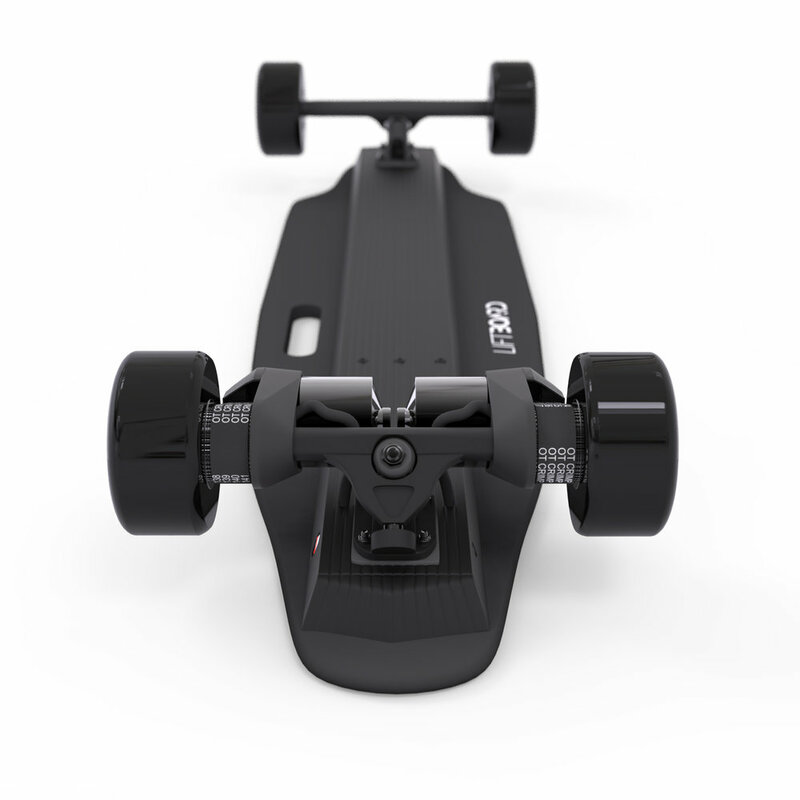 This allows the board to be sturdy, resistant to harsh environments and stick lightweight. We use a set of 80mm wheels that are capable of handling a wide verity of terrain and cruising on smooth surfaces. Our wheels have a hardness rating of 78A which means they can grip surfaces without sacrificing long-term usability and excessive wear. Every LiftBoard model is equipped with top-of-the-line brushless DC motors. Each Dual LiftBoard motor outputs 1800 watts of power while maintaining longterm durability and battery efficiency. We use belt driven motors to increase low end torque and allow the LiftBoard to easily traverse hilly terrain. Not all roads are flat, that's not a problem for the Dual Motor LiftBoard. The days of carrying your board up hill are over, who’s king of the hill now?